Game developers like you and me, we love Kickstarter. We’re familiar with the rewards-based crowdfunding campaigns, but did you know there are actually 4 different types of crowdfunding? Did you know there’s hundreds of platforms that all differ in just a few ways? More importantly, did you know money is only a part of its benefits? Each of the posts will concentrate on a different topic. The first one will explain everything theory. Next time, we’ll look into our campaign in depth and talk about our own preparations. The last one will be an overview of our communications during the campaign. First of all, let’s look into the benefits of crowdfunding. The obvious one is that you can start a campaign to raise funding, but that’s not all there is to it. Here’s an overview of some other, at least equally important benefits. 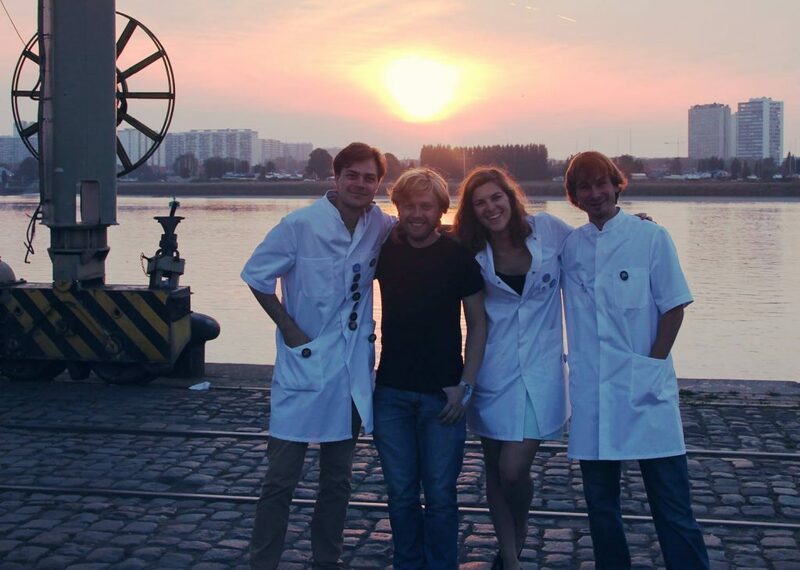 Crowdfunding helped us to engage a new or existing audience to become ambassadors of our project. Yes, there’s always like-minded people out there that think like you. Once people are ambassadors, they’ll feel a connection to your project and start speaking out about its awesomeness. In short, it helps you to build up a community, and we tried to bring people together as much as possible. Next to that, the risks are fairly limited. Most platforms only require you to pay a fee if you manage to get funded. That allows you to test the waters, but it also means you’ll get no dime if you don’t make it. This forces you to think very carefully about your goals and the course of the campaign. It also makes sure you’ll be able to pay for the promised rewards. In a way, this lowers two risks. A crowdfunding campaign is also designed to show people what you’re doing and what you want to achieve. To do this, you’ll have to get your story straight and think about who you’re talking to. In the end, it will be a proof of concept that shows future customers and funders that there’s an interest for your project. Even if you don’t reach your goal, you’ll build up a collective of enthusiasts. You will get feedback, and lots of it. You want people to feel connected to the project and if they care about what you’re doing, they’re going to try to help. Which is an awesome thing! We tried to facilitate this as much as we could, since we loved to hear what people were thinking. Maybe we just loved the compliments about the our quiz concept. Two more terms: learning experience and market validation. Obviously, you’ll be working your furry socks off to prepare the campaign and as you go. You’ll learn new things about your project thanks to before mentioned feedback, you’ll meet lots of new people and you will be able to collect information about your audience. What’s the background of the people I’m engaging, who is sharing my message? Which groups and interests do they share? All of this information will be interesting in the long run as well! 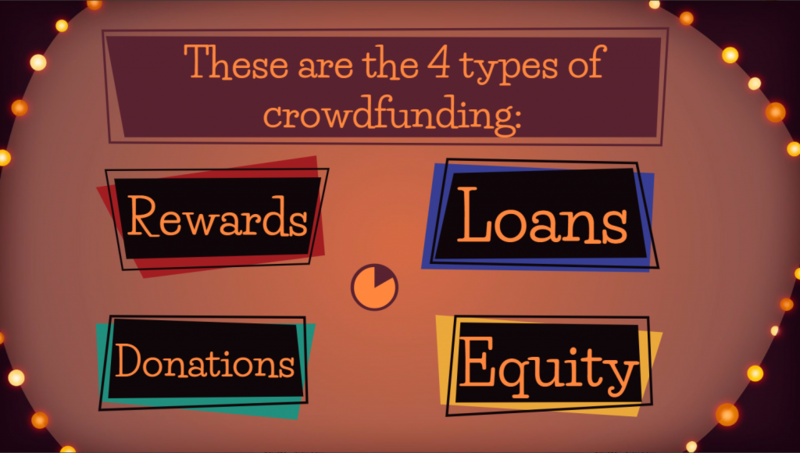 As we said in our intro, there are actually 4 types of crowdfunding. So let’s see what they are. First there’s donation, in which funders don’t get anything in return. Naturally, this type is mostly popular for social causes or in charity oriented campaigns. The rewards-based system can serve as a pre-sale. Funders get strategic rewards that bring a feeling of being part of your project. This type is one of the best solutions for developers, since it also builds community and can engage players. The two last types are financial ones and are less suitable to build community. But if you’re in need of large sums of money, you can start a lending or equity campaign. A lending campaign allows you to raise funds in the form of loans, while an equity campaign is an actual exchange of shares. You’d be able to set investor caps and minimum pledges as well. Once you’ve chosen What type of campaign you will be running (yes, you’ll be running your own campaign, and you’ll be the manager more than the presidency candidate), you can start thinking about a platform. There are hundreds upon hundreds of them, even though the most popular and famous one is Kickstarter. The Soho Loft has a list of many of the crowdfunding platforms out there today. First, we’ll introduce you to a handy tool we discovered during a crowdfunding workshop we attended in Belgium organized by Crowdfundingwerkt.be. It was lead by the awesome people at Douw&Koren, which is a crowdfunding consultancy bureau from The Netherlands. The tool requires you to fill out every blank space. That way, you will get a clear view of each aspect of your campaign. You’ll be able to tell if you’re ready to go for crowdfunding. Especially the first two spots are very important. The ‘Why’ and the ‘Project’ can give you a deeper understanding of your own campaign goals, and are inherently related to one another. The ‘Why’ focuses on the bigger picture of your project as a whole, without thinking about crowdfunding. You’ll have to fill out the big dream you want to achieve by working on the project you’re starting a campaign for. A crowdfunding campaign on the other hand has a reachable target goal and is limited in time, so it requires you to define the scope of the campaign in detail. The ‘project’ refers to the crowdfunding campaign. So you have to answer the question: what do I want to achieve by running this crowdfunding campaign? Proposition: Here you fill out the rewards and their prices. Infrastructure: Deceide wich platform you’re going to use and add some important details about it here. Promotion: Which communication channels and actions are going to be vital to your campaign? Costs: Make a thorough breakdown of the costs you’ll be making in terms of rewards, taxes, marketing, fees and more. Funding Target: Based on the costs and the budget you need to complete the goals for your campaign, you’ll define a fixed budget. 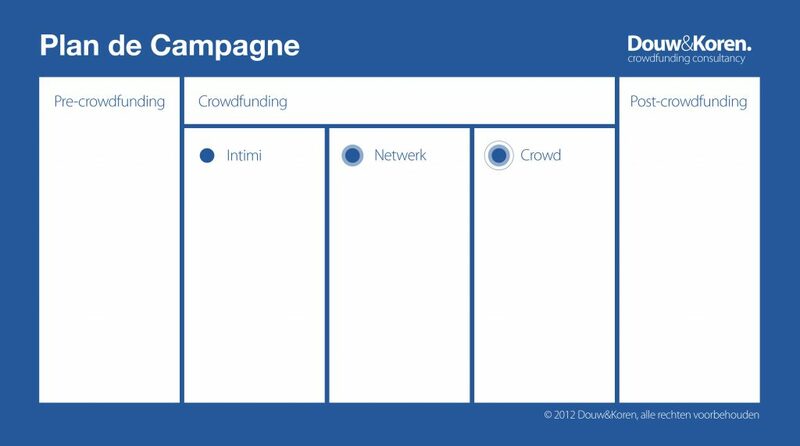 There are 3 stages in every crowdfunding campaign too. We’ll get back to that in the last post in this series. In the next we will look into the preparations we made for QuizWitz. It was a lot of work in a short time! We hope you learned a lot and join us next week to read about our campaign more in detail! Good news! Our crowdfunding campaign ended successfully! So we’d like to send out a big thank you to our ambassadors any place we can. It was a tough ride, but thanks to our contributors, we were victorious in the end! You can still visit our campaign to see what happened! During our campaign, we learned a lot. From how to plan and set up a crowdfunding campaign to how we can be creative with our projects. On this last note, we started working on an additional version of QuizWitz. One that we feel can speed up the quizzing revolution too! QuizWitz Live allows people to create quizzes for their organizations! How does it work? Well, you create a quiz with long questions to read out loud, and short ones to show on the big screen. You then announce the quiz and allow people to play in teams. Each team needs a smartphone or tablet to answer questions. What makes it so much fun? We tested it, and received great feedback! People loved how they received feedback about the answers and their added points immediately. They had to wait for no one to count points. We are organizing our own events, and will allow Pro users to use it in the future as well! More news will follow. Like us on Facebook and follow us on Twitter to stay up to date! As you’re all well aware, our crowdfunding campaign is well beyond its midpoint and we’re going strong! We’ve reached 73%! To explain why we really need the full 5K , we’ll look into our target budget in detail with you. > What could we do with your support? You can find our campaign at QuizWitz.com/ambassador for only 6 more days! A crowdfunding campaign isn’t free of charge for a studio. Though most platforms, like the one we’re on, only require you to pay them if you reach your target budget. On Indiegogo on the other hand those costs would be charged if you decide to cash in the pledged amount. You can do this even if you don’t reach your target budget. For us, that’s 8% platform fee and about 17% taxes (depending on the reward you choose). As you can see in our graph, we added a separate percentage for the physical rewards and for the QuizWitz Live event. That is because we actually have only one physical reward, which is our set of QuizWitz playing cards. The Live event then will require a fair budget for its own development and organization. So what is QuizWitz Live? It’s a live event that takes the traditional quiz evening a step further. We want to bring our new technology and live quiz events together. Our aim is to make it feel like a television quiz experience as much as possible, with spotlights, a show host and prizes! 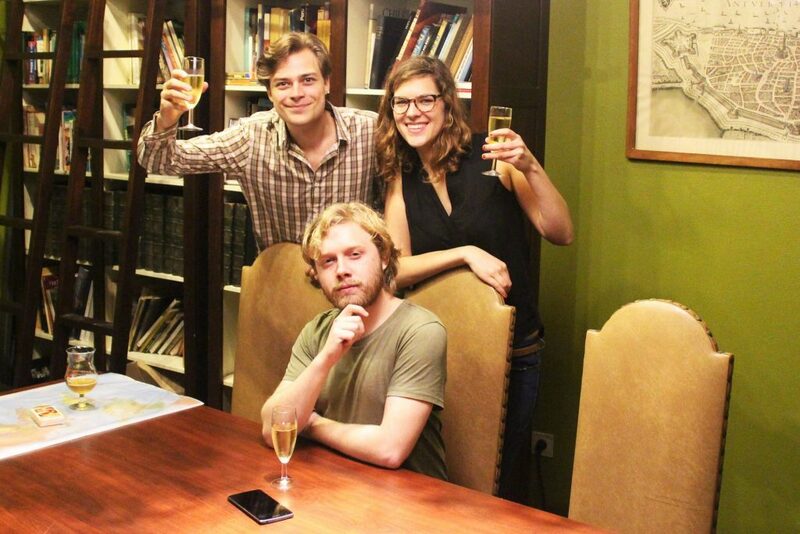 QuizWitz is the game and project you’re supporting with this campaign. It goes without saying more than half of the budget we raise will go into its development. As our game is still in its beta phase, we really want it to grow and become a community in which every quizzer can find a place. What does this mean? We will be developing a game client for Windows, Mac and Linux. The version for Steam already has a beta master and should be available in the next coming weeks. “Additional game rounds and flow” then means we will improve the flow of the game. For example, the points allocation screen will be improved so that more than 12 players can play at the same time. We will also get rid of minor bugs and improve the loading speed of the entire game. Most of these issues come from feedback reports provided by our ambassadors already, which is a great thing! In addition, new rounds will add refreshing styles of play. We’re thinking of developing a lightning round, where only the fastest player can answer the question, or a round in which players vote on each other’s imitation performances or drawing skills. Of course you will be able to create these types of rounds yourself. Note: It may seem that we’re live on 2 crowdfunding platforms, but the fact is that our official one was still in development when we started our campaign. Hello crowd! is the new kid on the block in Belgium and Ulule is their supporting partner. This still means the fee mentioned above is only applicable for Hello crowd!. The campaign on Hello crowd! We want everyone in the world to be able to test and share their knowledge! And QuizWitz is the project with which we can achieve this goal. Each and every supporter becomes an ambassador, just until November 7! Let’s create a global community together! We had a blast! 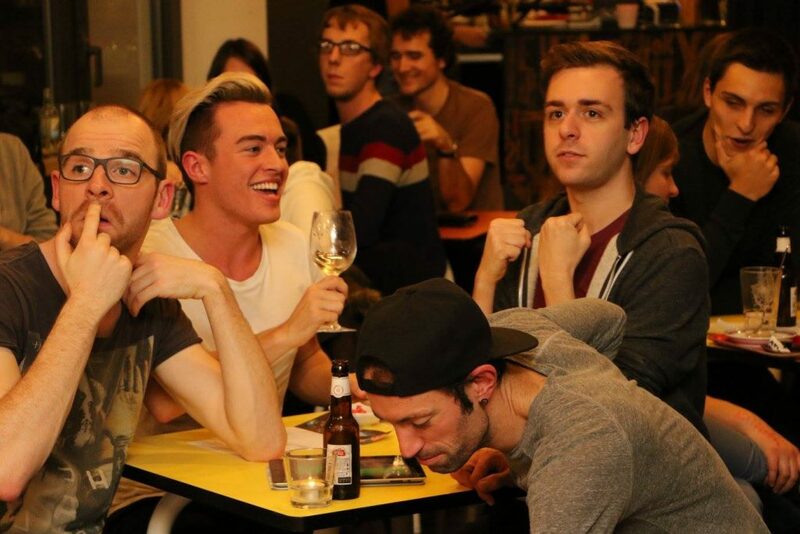 Last Tuesday, we organized our first QuizWitz @ Backstay event. We had a full house and everyone enjoyed themselves a lot! 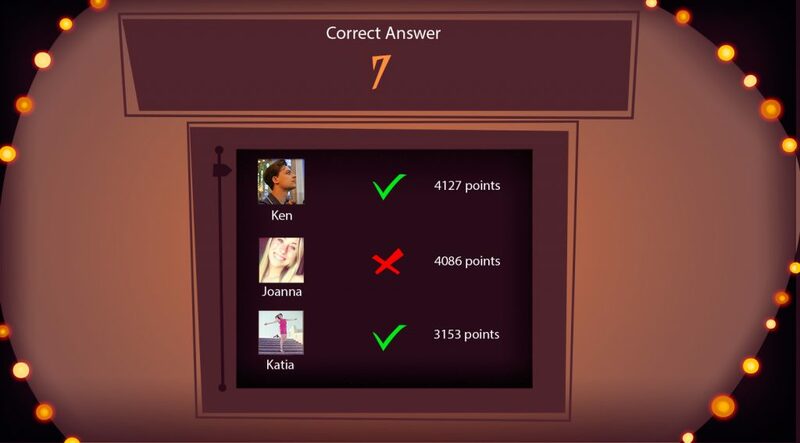 It’s a live quiz event for which we adapted our QuizWitz technology so it can be played in teams of 4 players. Each team plays with 1 device as their controller. After the host reads out the long question out loud, the short version is shown on a main screen and the timer starts running. Good luck! You can find the photos on our Facebook page! We received great feedback and have already announced our next events. 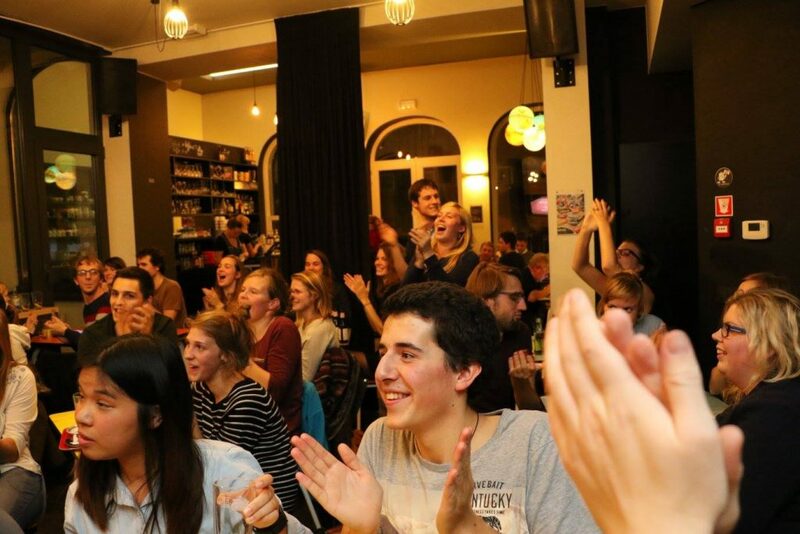 They will be held in Ghent: QuizWitz @ Backstay and in Antwerp: QuizWitz @ Via Via Reiscafé! You’ll have to register your team upfront and bring at least one device. Time to start training your brain beforehand on QuizWitz.com! 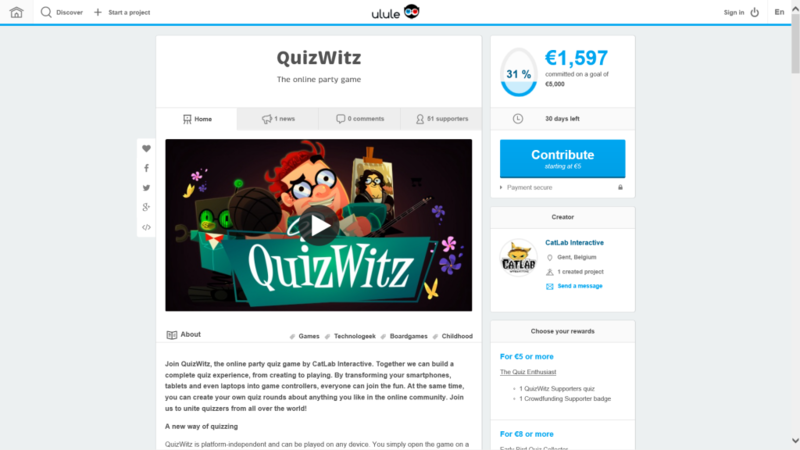 Don’t forget about our crowdfunding campaign if you wish to help the QuizWitz developers out at QuizWitz.com/ambassador! Any thoughts or comments? Be sure to leave them in the whiskers box below, or on Facebook or Twitter! There’s already 51 of us, which means we’re becoming a community! Even more reasons to reach out to friends and invite them. The more the merrier! 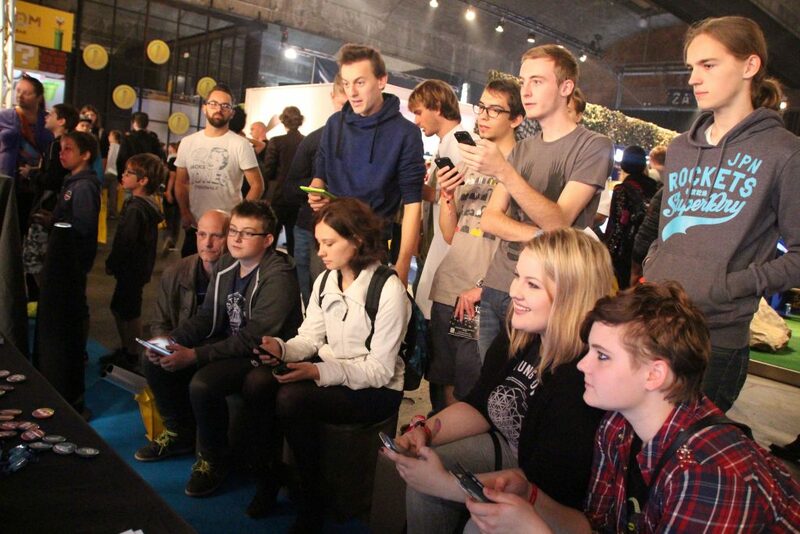 Last weekend, over 300 people played QuizWitz at GameForce, which is a fun games-oriënted convention in Antwerp! We took a lot of pictures and some great people even pledged right then and there. Incredible! Later this week, Digitally Downloaded published an article about the Belgian games industry and QuizWitz was in there too! Be sure to read it! Today, Friday, was another big day for Ken. 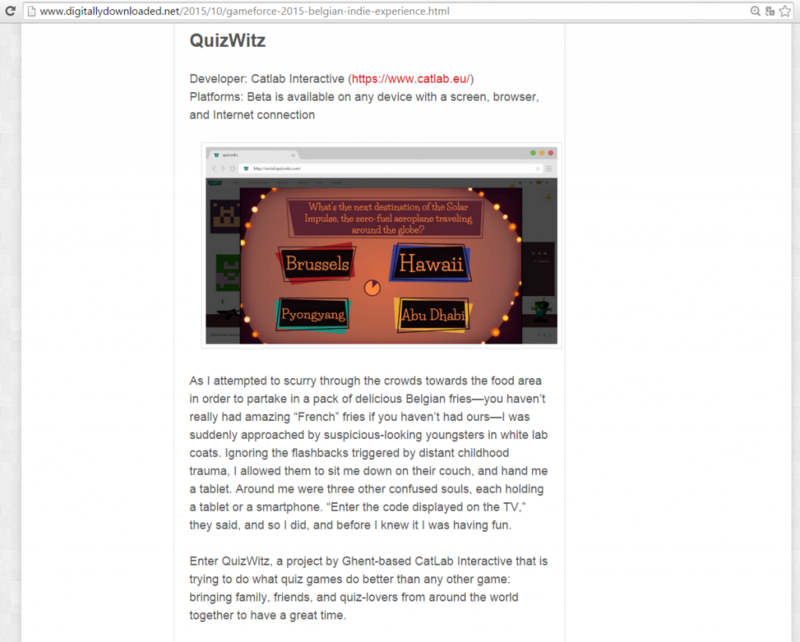 He presented QuizWitz and its story to high school kids from the sixth year! It was a different experience, making him miss school just for a second there. Thank you IMinds for the opportunity! Keep an eye on our Facebook page, as news about one of our next events will come soon!